BebedeParis is an international online baby gift service with a large range of exclusive personalised newborn baby gift hampers, baby gift baskets and baby gifts containing everything a new parent will need for their newborn baby either as a baby shower gift or newborn baby gift for boys and girls. Our service is available to both individual shoppers as well as corporates and companies. BebedeParis provides a premium service to more than 13 000 companies around the world with discounted prices choosing exclusive personalised baby gifts within their own budget. We help Human resources managers (HR managers) and business owners to make their employees feel happy, valued and appreciated by the company during the happiest moment of their lives at the birth of a new baby. 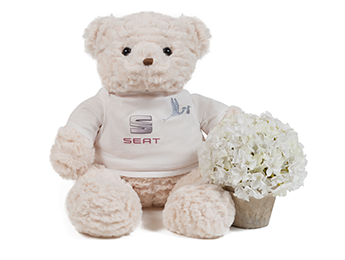 Gifts can be personalised with the company logo and the baby's name. This is a great alternative for the normal gifts of flowers or chocolates that most new parents receive in hospital or at their baby shower. All our hampers and baskets are beautifully presented complete with bows and ribbons wrapped in cellophane, with the baby's name on a welcome card and a congratulations card with your personal message. Most hampers and certain gifts can be embroidered with the baby's name. 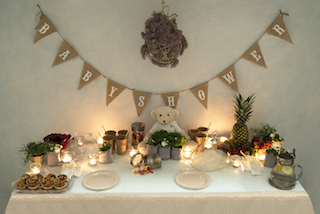 It is also possible to build your own hamper on our website and include everything you personally think would make a great baby shower or newborn baby gift. "Celebrate life, Celebrate births" with BebedeParis. Bebe de Paris was founded in 1994. A pioneer in its field, the company offered an alternative to traditional newborn gifts, like flowers and chocolates. Bebe de Paris’ business model is based on excellent service and top-quality products provided to individuals and companies. - Delivery by fully dressed porter in Gauteng and courier delivery nationally in our beautiful playhouse box. Bebedeparis was founded in 1994 under the name La Cigüeña del Bebé (The Baby's Stork). A pioneer in its field, the company offered an alternative to traditional newborn gifts, like flowers and chocolates. In 2014 Bebedeparis adopted its current name and started expanding internationally under the motto “Your baby gifts anywhere”. Its founders Sara Fernández de la Aldea and Elena Gómez del Pozuelo designed and established a successful business model, based on excellent service and top-quality products. The trust that more than 13,000 companies put in Bebedeparis, soon made the company a leader in its field in Spain. Thanks to 20 years of experience in the sector and its innovative character, Bebedeparis is now a successful and established business with continued support from its satisfied customers. Expert in e-commerce and digital marketing. Entrepreneur with more than 22 years of experience in product design, logistics, import and export. Prestigious Spanish lawyer with more than 17 years of experience leading PWC's legal department. 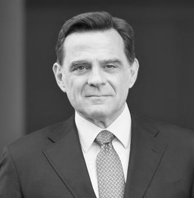 Currently General Counsel at SEAT and board member at Volkswagen Group in Spain. Bebedeparis offers an extensive catalogue with more than 200 hampers and baskets as well as baby gifts in a large price range. Our customers can choose from a wide range of hamper designs and have the option of personalising their gifts. Our natural baby bath time products as well as clothes and accessories make ideal exclusive and elegant gifts for new babies. The gift will be carefully and elegantly presented and delivered to the hospital, clinic or home address chosen. Moreover, Bebedeparis offers a unique additional delivery service in Madrid and Barcelona by porters in full dress uniform. Bebedeparis was chosen to deliver baby gifts on the birth of Their Majesties the King and Queen of Spain's grandchildren. Princess Leonor de Borbón and her cousins Felipe Juan Froilán and Victoria Federica all received their very first gifts delivered by our porters in full dress uniform on the day of their birth. An overview of our press coverage since 1997.